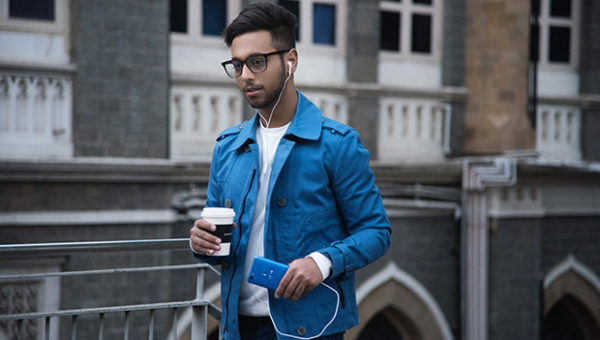 On The Go w/ EUME. Activate comfort by the touch of a button with the world’s first massager backpack by EUME. With cutting edge technology seamlessly integrated into an exquisite, tough body, EUME is the ultimate blend of comfort and functionality. It truly is an indispensable companion for every occasion. I’m always on the move and always in need of a good backpack to hold my laptop, chargers, books and camera. The load of this weight used to weigh my back down but, not anymore. 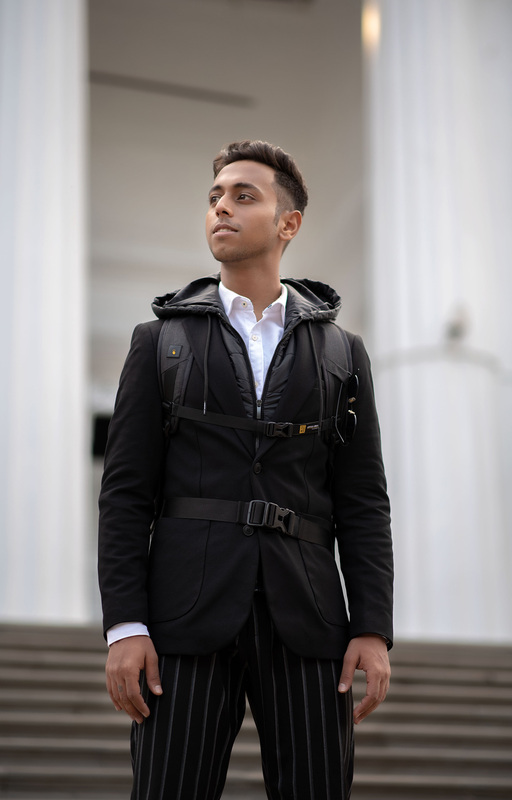 I found the world’s first massager backpack by EUME which is now exclusively available on Amazon. It has a built in portable USB charger, a one touch button to activate the massager and has an anti-theft design functionality. This product is a revolutionary invention for anyone on the move seeking comfort rather than carry a burden on their shoulders. 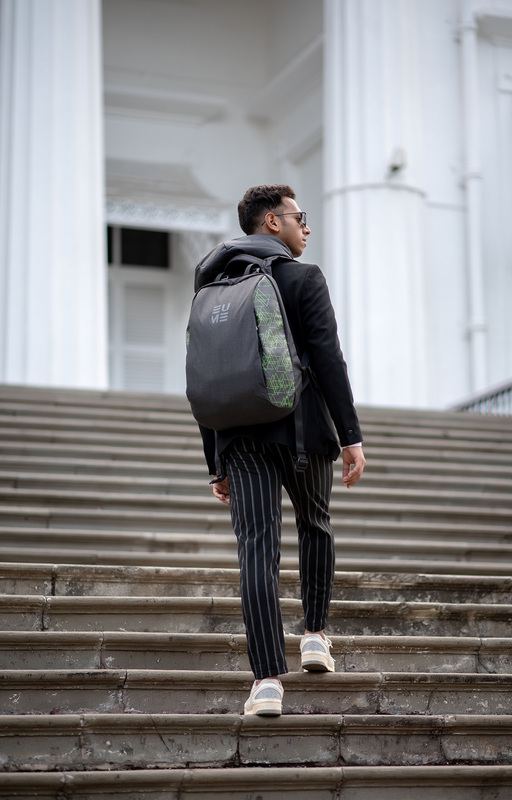 EUME’s backpack is crafted by the finest sewers with the most lightweight and durable material, making the bag adapted to any physical body form for utmost comfort. It has been cleverly designed in such a manner to accommodate space for all your devices, books, etc. Built-In Massager: Ease out prolonged discomfort by rejuvenating your back muscles on-the-go with its patented, built-in massager. It is gentle comfort when you need it the most. At just the push of a button, the advanced, strategically positioned massagers can relieve you of your discomforts while on the go. USB Charging: Never run out of power! 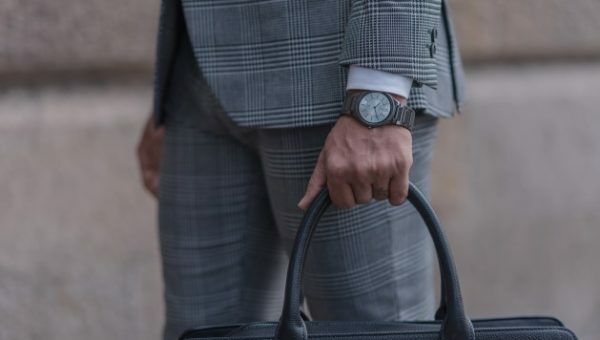 This bag features a USB port that can charge your mobile devices, anywhere, anytime. This seamless feature is a stunning blend of aesthetics and functionality. Built to Last: Forged from the finest, ultra-light fabrics, our highly durables bags come with a free 18-month warranty. 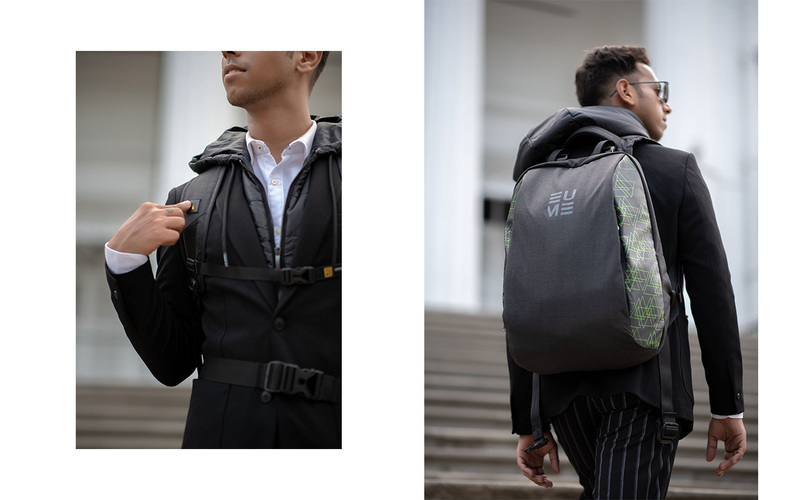 Light As A Feather: EUME bags are custom engineered to be light yet sturdy, making them ideal for long distance travel.